Shruti (Anushka Sharma) is a 20 something no nonsense girl from a middle class Delhi household. Focused and determined with preplanned ambitions her goals in life are well laid out by the time she reaches her final year of college. Bittoo (Ranveer Singh) on the other hand has no real aim in life. As a final year college student of Delhi University he whiles away his life having fun with his buddies barely scraping through his exams. A chance and inopportune meeting (or as you would call it fate) brings the two of them together on a tumultuous journey where they become partners in their very own. Wedding planning ka bijness. The rules however are clear Jisse vyappar karo usse kabhi na pyaar karo (Don’t Mix business with pleasure). Together their friendship and business enters the ups and downs of the lavish Delhi weddings and while trying to find themselves. 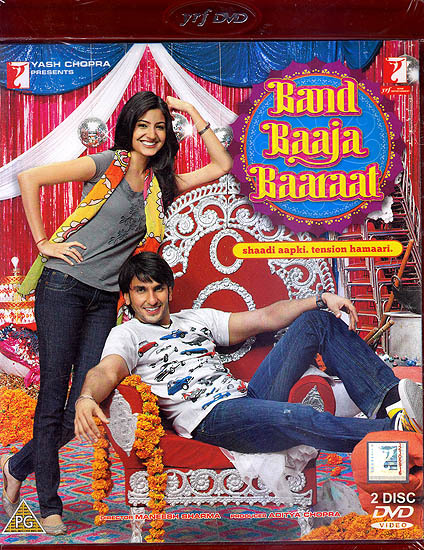 Shruti and Bittoo discover each oter and realize that in the course of their journey unke khud ke rules ki bajegi band!.